HTC's Desire family is the brand that just won't stop, having survived not one but two company-wide product refreshes. 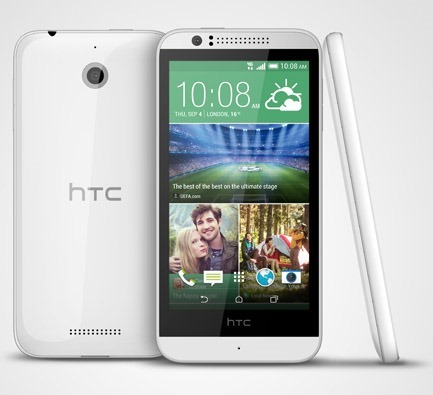 And strangely, it looks like it will also host the first HTC device to come with a 64-bit processor. The Desire 510 is a low-end phone aimed at bargain hunters and pay-as-you-go wireless users, but its inclusion of Qualcomm's Snapdragon 410 system on a chip makes its otherwise lackluster specifications notable. The 1.2Ghz quad-core 410 isn't exactly a powerhouse, but its ability to support both 32-bit and 64-bit processing should make it a popular choice for mid-range and low-end phones as Android begins to support the latter with the upcoming L release. Other SoC features include built-in support for LTE, camera modules up to 13.5 megapixels (though the HTC Desire 510 has only a 5MP rear shooter), external display, and Qualcomm's Quick Charge technology. The company's higher-end 64-bit chips, The Snapdragon 610, 615, and 810, should begin appearing in devices in late 2014 or early 2015. OK, back to the Desire 510. The phone's capability marks it as a low-end model, including the 4.7-inch 854x480 screen, 1GB of RAM, 8GB of storage plus a MicroSD card slot, and a VGA front-facing cam. On the upside it does include LTE (not a given for this market segment), a removable 2100mAh battery, and a fetching if simple design that foregoes premiums like metal or stereo speakers. 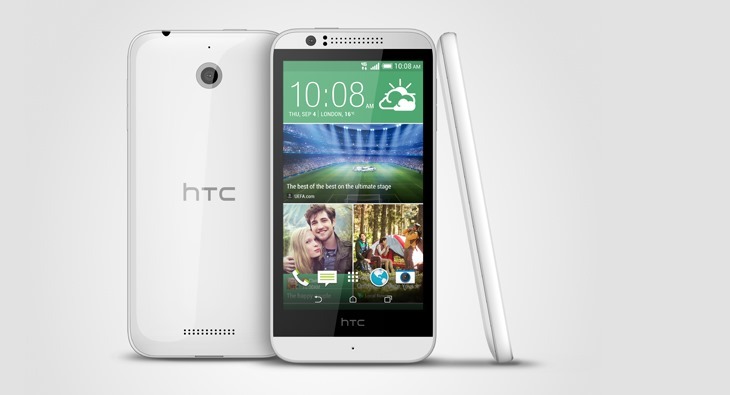 Since the Desire 510 runs Android 4.4 with HTC's software additions on top, it won't be capable of 64-bit operation out of the box, and it will have to wait for an update to Android L. The phone will be available in Europe and Asia soon, and it's coming to "select carriers" in the United States.